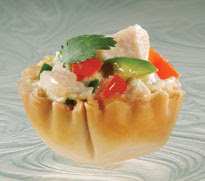 When the heat strikes take a retreat from the summer heat by creating Chicken and Pico de Gallo appetizers and Light Fruited Pudding Cups in Mini Fillo Shells. 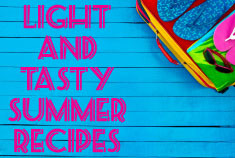 Create delicious Chicken and Pico de Gallo appetizers as a light summer snack. In a small bowl combine chicken, avocado, tomato, green onions, jalapeño, mayonnaise, vinegar, cilantro and salt mixing well. Chill for 1 hour. Place 1 rounded tablespoon of mixture into each Fillo Shell. Garnish each with a sprig of cilantro. Serve immediately. 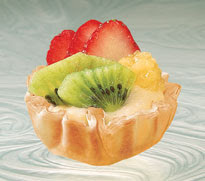 Serve Light Fruited Pudding Cups as a simple and tasty summer dessert for any occasion.